During 2006, the first year of the U.S. investigation, 394 children were adopted internationally from Nepal; 66 of them by Americans. In March 2007, because of allegations of rampant corruption in orphanages and adoption agencies, the Nepali government halted international adoptions. Even after Nepal allowed international adoptions to resume in early 2009, the U.S. government found that fraud and corruption persisted, causing such concern that the U.S. State Department suspended all adoptions from Nepal in August of 2010. During the period between 2006 and 2009, 950 children from Nepal had been adopted internationally, 168 from the U.S.
Now dozens of American families are caught between these two countries' conflicting regulations over international adoption, and have, for some months, been stuck in Kathmandu. Here's their dilemma: under Nepalese law, they have adopted and have full custody of and responsibility for their new children. But the U.S. Embassy in Kathmandu has not yet issued the visas that will allow those families to bring home their new children. 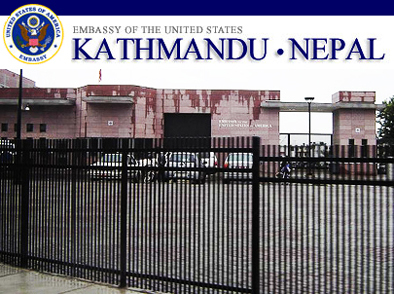 Instead, in concert with the Department of Homeland Security's Citizen and Immigration Services (USCIS) the U.S. Embassy in Kathmandu has been asking for more information and investigating whether the children are indeed in need of adoption--or whether the paperwork that declares the children free for adoption is false. For the Americans in Kathmandu, this is a shocking disruption of their lives. But for longtime watchers of international adoption, the story is painfully familiar. Just in the past decade, this has happened to families hoping to adopt from Cambodia, from Vietnam, and from Guatemala. It may soon be about to happen to families hoping to adopt from Ethiopia. Once a U.S. Embassy begins to spot "irregularities" --signs of fraud, coercion, corruption, baby buying, and other serious problems--in adoptions from that particular country, it begins to post carefully worded cautions to prospective parents on the Embassy's website and on the State Department adoption website. Sometimes the nation reforms its adoption process. But if not, eventually the U.S. State Department comes to think it has no choice--given its limited powers to regulate or oversee adoptions--but to stop approving adoptions from that country altogether, lest the U.S. unwittingly approves adoptions of children whose birthfamilies never intended to give them up. U.S. adopting families get caught in the middle of this policy change, legally responsible for children they cannot bring home. How did it come to this, once again, in Kathmandu? For many years, Nepal allowed very few of its children to be adopted internationally--in part because, traditionally, Nepalese children were not abandoned. Rather, families in distress passed their children to grandparents, cousins, or others in their extended network. Nor did Nepal have a mechanism for domestic adoption that was in any way comparable to that of the West, or understand the concept of permanently relinquishing biological ties. Occasionally, visiting Western expats would meet an orphan or a child in dire circumstances and petition to bring him or her home, but for the most part, children in troubled situations were taken care of in their impoverished regions. But in 2001, some international adoption agencies and facilitators discovered Nepal. International adoptions spiked from a total of 8 in the year 2000 to 394 in 2006--an enormous leap in a small country undergoing a civil war, when opportunities for corruption and fraud are often particularly rife. With that rapid expansion, NGOs and the news media began to report on systematic adoption irregularities much like those that had already been seen in Cambodia and Vietnam. Orphanages were being started (or converted) specifically to focus on international adoption, rather than to offer temporary children's shelters and boarding schools for poor families during periods of illness or financial stress. Illiterate parents who left their children in these child-caring institutions, expecting to bring the child home a few months later, would discover to their shock that the child had been adopted abroad. Apparently, once some corrupt officials and unscrupulous individuals discovered what large amounts of Western cash were available for each international adoption, they began to "find" the healthy infants and toddlers that Westerners most wanted to adopt. In 2007, plagued by these accusations, the government of Nepal shut down its international adoption program for reform. To find out what had been happening behind the scenes that led to that 2007 adoption shutdown, the Schuster Institute for Investigative Journalism submitted Freedom of Information Act requests to the U.S. State Department to learn what the U.S. Embassy in Kathmandu and other official government bodies investigated American citizens' applications for orphan visas. As E.J. Graff reported in "The Baby Business," the U.S. government has until recently had very little power to regulate international adoption, to oversee how adoption agencies run their businesses, or to investigate whether other countries' orphanages and officials may have bought, solicited, or otherwise fraudulently "found" children to offer for adoption. In her September 2010 article "Anatomy of an Adoption Crisis," she reported on and analyzed a large cache of State Department documents related to the adoption fraud problem in Vietnam--documents much like the ones we present here. In 2009, Nepal began to allow international adoptions once again. But when it did, a number of observers were concerned that the country re-licensed many of the agencies and orphanages that had been implicated in the earlier waves of fraud and corruption. Given this, it's especially interesting to note that, in September 2008, the French and German embassies to Nepal called a meeting of other diplomatic missions. According to the last cable, below, everyone at the meeting agreed that the newly proposed rules (the ones in place today) would be inadequate--and urged the Western diplomatic missions to hold fast against problematic adoptions. As Ambassador Moriarty's cable puts it, "The French Ambassador said despite intense pressure from French families who want to adopt at all costs," he intended to try to prevent his government from allowing Nepalese adoptions. Further, the French Ambassador was quoted as saying that he "will be tough on Spain and Italy in his diplomacy with their Missions in New Delhi (neither country maintains a presence in Nepal aside from honorary consuls) and seeks U.S. and others' cooperation and consensus among stakeholder countries in his continuing efforts to press the GON [Government of Nepal] for real, effective reforms that will protect children from trafficking disguised as adoption." Part of the underlying problem is that Nepalese law has allowed adoption only if a child has been abandoned; parents can relinquish a child permanently only after years of waiting. Some birthfamilies may be choosing to have their child documented as "abandoned" to give her a better home--but which ones? If almost all the documents used for international adoption are fraudulent, how can the U.S. government determine which fraud covers up baby-buying, and which covers up a genuinely voluntary attempt to give a child a better home? Many NGOs and international bodies suspect that the former is far more prevalent than the latter. Most pointedly, The Hague Conference on Private International Law released a report last spring about international adoption from Nepal based on its Intercountry Adoption Technical Assistance Program's visit to Nepal in November 2009. The report details a number of weaknesses in Nepal's current system, including the falsification of documents, "improper financial gain," and lack of a child protection system. After the quite damning report was released, a series of Western countries--including Canada, Denmark, Germany, France, Italy, Norway, Spain, Sweden, Switzerland and the United Kingdom--shut their doors to adoptions from Nepal. The State Department documents released here refer to the troubles it was finding in adoptions from Nepal between 2006 and 2008--and they illuminate the current troubles as well. Between the lines and the careful diplomatic phrasing, the reader can discern a number of concerns. For instance, in the comment about rapid expansion of the numbers of children's homes that have turned into way stations for international adoption, there's a concern that these organizations are being allowed to offer children for adoption not out of concern for the children's welfare, but because approval brings in a steady stream of fees and bribes. When the Ambassador notes that U.S. adoptive parents are complaining that their agencies tell them to bring large (and, under Nepalese law, illegal) amounts of U.S. cash into the country, or that orphanages and agencies suddenly demand new surprise fees once they arrive, the implicit concern is both that Americans are being taken advantage of, and Nepalese children are being offered for adoption so that orphanage owners and government officials can profit--not because the children need new homes. When a cable mentions a series of falsehoods that the Embassy is finding in the adoptive children's official documents, the individual lies may seem minor. But those falsehoods fit patterns that the U.S. State Department has seen elsewhere that indicate baby buying, fraud, coercion, and kidnapping. Lies about a child's age, location, and relationships with other biological family members have, in other situations, been ways to cover up the fact that a child was defrauded away from their family--and that the orphanage was trying to make the child more "marketable" to international adoption consumers by saying she was younger than she was. Repeatedly finding falsehoods in the documents have, elsewhere, suggested that the government issuing those documents is either colluding in the fraud or doesn't care. Below are some highlights of what Ambassador Michael Moriarty reported to the Secretary of State about adoption. Click on the cable's subject line to read the redacted cable, as we received it. We received more cables than those excerpted below; to see the full table of cables and to access each one click here. "Fabricated documents or real documents fraudulently obtained are readily available and often at variance with the facts of the case as related by orphanage personnel or adoptive parents...Adoptions continue to be problematic and fraught with inconsistencies." "The Government of Nepal (GON) is investigating over 50 children's homes for alleged child abuse, forced begging, and buying and selling of children.... Five were homes approved to process international adoptions. "Over 600 organizations are registered with the Government of Nepal (GON) to work with children in the Kathmandu Valley; of these, 366 are authorized to function as orphanages. The GON registered over 100 new orphanages in the last year.... over 60 percent ... were not fully compliant with regulations. In the last year, the Ministry of Women, Children and Social Welfare approved 10 new orphanages to process international adoption cases, in addition to the 25 orphanages already permitted to process international adoptions. "COMMENT. Nepal's legal framework for child protection is limited and insufficient to combat the problems created by poverty and corruption. However, it is encouraging that the GON is at least beginning to enforce the laws, however inadequate, that are already on the books." "Nepal lacks standardized requirements, processing procedures and fees for international adoptions. The Ministry of Women, Children and Social Welfare (MWCSW) charges a fee of USD 300 for the adoption of an orphan from Nepal. Orphanages and local facilitators in Nepal often charge additional fees to process the adoption and to care for the child once the child has been assigned to adoptive parents, but prior to the Nepalese government approval of the adoption. These fees vary widely. Adoptive parents have reported a wide variance in fees (between USD 500 to USD 20,000) charged by Nepalese orphanages and U.S. agencies, which are unregulated by the Nepalese government. Many parents have reported that orphanages have charged them new and unexpected fees after arrival in Nepal. Many families have reported donating additional money or goods (such as a refrigerator) to local orphanages. "Post has identified several cases in which children appeared to be orphans as defined by U.S. law but the process through which the child was relinquished or selected for international adoption appeared suspicious. Post has confirmed a number of cases in which documents presented to the GON and the U.S. Embassy were fraudulent. The documents, apparently intended to conceal the actual circumstances of the children, appear easily obtainable. ... Post is rarely able to confirm the circumstances surrounding the child's abandonment through investigation or information obtained from contacts. For example, recently, two separately abandoned children adopted by two American families in Nepal were ultimately adopted by only one family in the U.S. (Ref C). In another case, an allegedly abandoned child with no siblings was adopted by an American family. Later, after returning to the U.S., the American parents claimed to CA/OCS/CI that the child had a known sibling in Nepal, and that the child was not abandoned as reported in the paperwork, but rather brought to the orphanage by the biological mother. "Post is concerned by the role of "facilitators" in the Nepalese adoption process. Local facilitators do not always assist Post's efforts to ascertain the true circumstances of a child's abandonment. In several cases they have acted to block these efforts by coaching parents prior to their interviews or, in one case, by refusing to provide the identity of an individual who had information on the circumstances of a child's abandonment. One facilitator keeps children in foster care, charging high rates, once the local orphanage has identified the child for adoption by an American family. The foster care facility is not registered with the GON; rather, the children in the foster care are, on paper, resident at a local orphanage. In contravention of local law, other facilitators and orphanages allow the children to stay with adopting parents while the adoption cases are pending. "While Post is unaware of specific incidents regarding undisclosed adverse social or medical issues, there have been confirmed cases in which the true age of the child was significantly different than presented in the adoption paper work. In one case in 2006, a doctor confirmed for Post that the child's documented age was off by nearly three years, a fact that the GON refused to correct on the child's travel document." "On March 14, [redacted] gave Conoff a readout of the conference. [Redacted] said he had pushed for adoption reform in his remarks during the conference. He believed that the [government of Nepal] was aware of the myriad concerns associated with ihttps://blogger.huffingtonpost.com/mt.cgi?__mode=view&_type=entry&blog_id=3#nternational adoptions in Nepal...."
In this cable, the Ambassador reports that the Nepal government is suspending international adoptions until it can reform its system. The Ambassador notes that he will advocate to allow Americans to bring home the children whose adoptions were underway. "At the end of August, UNICEF and the Swiss NGO Terre des hommes called on the Government of Nepal (GON) to tighten laws and procedures governing intercountry adoption, which they say has been open to abuses by orphanages and children's homes. Their recommendations were released August 29 in a 62-page report based on a six-month joint investigation that revealed widespread weaknesses, limited government influence, and inadequate transparency and accountability in the process. They concluded that intercountry adoption should not be allowed to resume without appropriate safeguards being put in place at all levels. In related news, Nepali police arrested three persons in August after a Nepalese woman accused a children's home of selling her daughter without her consent to an American family for four thousand dollars." Across Nepal there are some 15,000 children in orphanages but 60 percent have living biological parents and as many as 80 percent have families. Biological parents are not provided with accurate information on the adoption process and informed consent is not sought or documented. When Nepal opened to intercountry adoption there was only one state-run facility, Nepal Children's Organization (also known as Bal Mandir), sending children to be adopted abroad. As of May 2007 the number had grown to 47 orphanages. Only four out of every 100 orphaned children are adopted by Nepalese families due to legal, sociological and cultural barriers to domestic adoption. GON monitoring of children's homes is not systematic; absence of monitoring puts children at risk of abuse. Fifteen percent of children's homes are not registered with the GON and thus evade inspection and monitoring. Quality of care and protection in many children's homes is substandard and not provided in the best interest of the child. The demand and supply effect is illustrated by the fact that the number of child abandonment notices published in Gorkhapatra newspaper (a GON prerequisite for a child to be declared an orphan) drastically decreased after the suspension took effect in May 2007. "Demand for Nepalese children has increased in recent years as countries such as India have improved or tightened legal access to children for adoption or have placed greater emphasis in adoptions within their own country. Spain, France, Italy and the United States have been among the main sources of demand. The study also revealed instances of abduction of children and babies being adopted without their parents' consent. It also found that families were often divided, with siblings, including twins, being separated to increase their chances of adoption." "The French Ambassador to Nepal asked for cooperation and consensus among diplomatic missions on intercountry adoptions in Nepal during a visit by the president and managing director of French Adoption Agency and a French Member of Parliament. There is general agreement that the GON's new terms and conditions will do little to curb the corruption that has plagued the process." "French Ambassador to Nepal Gilles-Henry Garault hosted a discussion of the state of intercountry adoption in Nepal during a visit by the president and managing director of French Adoption Agency and a French Member of Parliament. Consular representatives of Australia, Canada, Germany, and Italy joined Post conoffs in attendance." "The French Embassy objects to a provision of the new terms and conditions on intercountry adoption, already approved by the Nepalese Cabinet but not yet enacted, which would permit prospective adoptive families to submit applications directly to the GON's Ministry of Women, Children and Social Welfare (MWCSW) through their respective country's Embassy or Consulate in Nepal. Post continues to recommend that all families adopting in Nepal work through accredited adoption agencies, and agrees with the French and other Missions that accepting families applications directly would compromise the Embassy's role in the process as well as invite an unsupportable workload." "Citing lack of transparency, evidence of child buying and fraud, France and Germany had unilaterally suspended the processing of adoptions from Nepal prior to May 2007, when the Government of Nepal initiated its own suspension. Neither Mission believes that its government should lift their own suspensions when the GON begins accepting new files, as there is general agreement that the new terms and conditions will do little to curb the corruption plaguing the GON's process." "The MWCSW [Nepal's Ministry of Women, Children, and Social Welfare] recently closed an open registration period for international adoption service providers and Nepalese orphanages. Of the 71 international adoption service providers that applied to work in Nepal, 37 are reported to be U.S. agencies, although prior to the suspension, Spain and Italy had been the destinations for half of all children adopted from Nepal. Thirty-eight orphanages and children's homes were approved by the MWCSW to give children for intercountry adoption." "The French Ambassador said despite intense pressure from French families who want to adopt at all costs, he will be tough on Spain and Italy in his diplomacy with their Missions in New Delhi (neither country maintains a presence in Nepal aside from honorary consuls) and seeks U.S. and others' cooperation and consensus among stakeholder countries in his continuing efforts to press the GON for real, effective reforms that will protect children from trafficking disguised as adoption." This post was updated on Feb. 23, 2011.